Last month during half term we went Glamping at Caalm Camp for the first time. 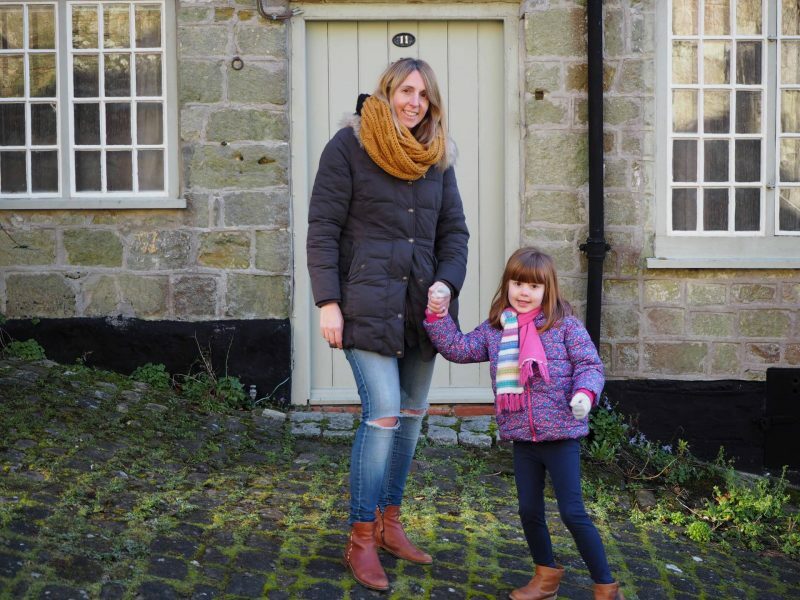 It was also our first time as a family visiting Dorset and we couldn’t wait to explore it for the couple of days we were there. Before we went I took some time to see what was nearby for us to visit. As we’re National Trust members we always look for the local place to visit. I was excited to see Corfe Castle was nearby and we enjoyed a morning there. We are also Merlin Annual Pass Ambassadors this year and headed to Weymouth Sea Life Centre, where we spent a lovely afternoon. 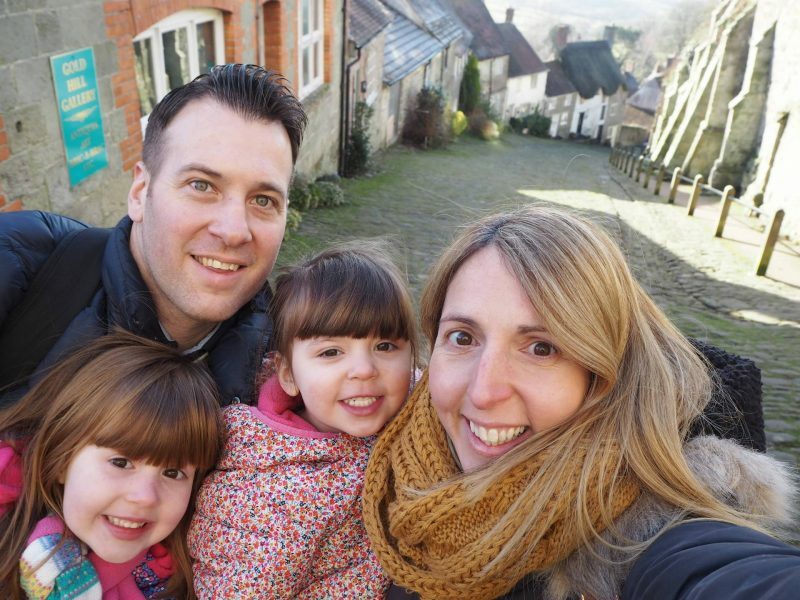 One place that I knew I definitely wanted to fit in was a trip to Shaftesbury and the famous Gold Hill, where the Hovis advert was filmed back in 1973. Plus the views are amazing and it is one of the most photographed streets in the UK. 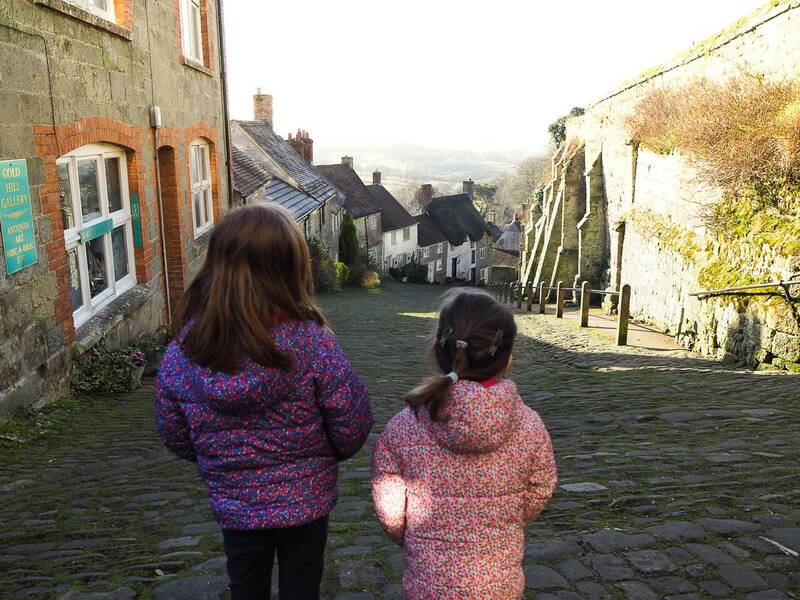 On our last day we went to Shaftesbury and we were really lucky and were the only people at Gold Hill. It was just as steep as it looks in photos and Holly needed a helping hand up, but Alice was a trooper and marched to the top. The street is really cute and I loved all the doors of the houses, I got Andy to take a photo of Alice and I half way up. Andy felt a bit awkward taking a photo outside someone’s house. But I told him they would be used it! We made it to the top and the views were amazing. It was a really clear day and we could see for miles. Of course we also had to get a family selfie. 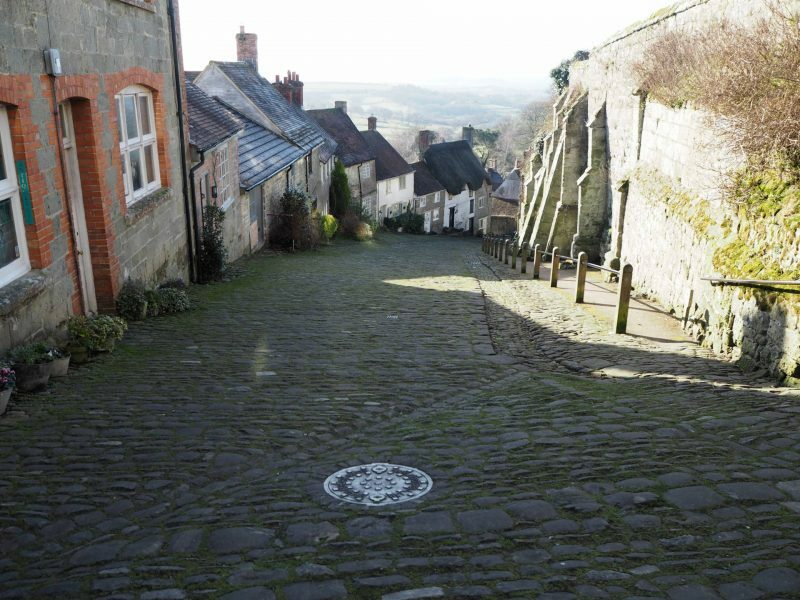 Once we reached the top we walked into Shaftesbury town and had a hot chocolate and cake, before we made our way back down Gold Hill. Going down was a lot easier on the legs, but you have to be careful that your legs don’t run away with you. Oh that looks gorgeous. What a cute and quirky little (big) hill! This looks so quaint! That looks a steep old hill though. Imagine that with a buggy! I loved the photo of this on your Insta, definitely somewhere we’d like to visit next time we’re down that way. Oh wow that looks so picturesque. I don’t think I would have been able to make it up that hill!